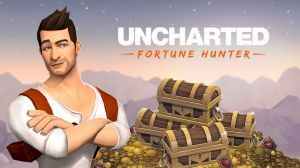 This free-to-play mobile turn-based puzzle game is a companion to 'Uncharted 4: A Thief's End'. It is a standalone game where the object in each of the 200+ levels is to avoid hazardous objects as you attempt to hoard treasure. There are no discussions open for yet. 1162What Game Are You Currently Playing? 35What are you doing right now? Get Involved and join the fun. Go to our forums to talk about the game, or visit our other forums to chat to gamers.